The market is awash with compact crossovers, and there are plenty of very good ones among them. A couple of models that immediately come to mind when considering the main contenders in the segment are the 2017 Jeep Cherokee and the Ford Escape, so let’s see how they measure up to each other by putting them head-to-head. The 2017 Jeep Cherokee has received criticism for not looking Jeep enough, but it’s really the epitome of the modern crossover. In fact, its design could even be seen as a blueprint for the genre. The front fascia of the Cherokee is definitely individual, but in a world where imitation is the norm and designs become increasingly homogenous, the unique exterior of the Cherokee is a breath of fresh air. The recently refreshed Ford Escape is a design that looks a little confused. At first glance, the Escape could be seen as a tall hot hatch, a tall-roofed wagon, a utility vehicle, or any combination of the three. 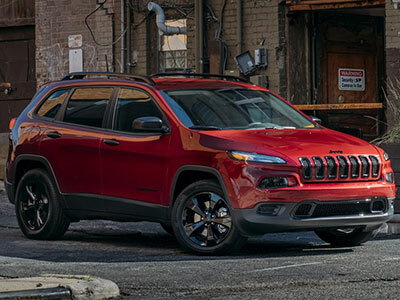 It’s definitely sporty, but the Jeep makes a much more impressive statement with its styling, so the Cherokee takes the first round. You’ll get seven different Jeep Cherokee trims to choose from, with the Sport being the base model and a lineup that continues with the Sport Altitude Limited Edition, Latitude, Limited, High Altitude Limited Edition, Trailhawk and, finally, the Overland. In these trims, buyers can find value, opulence, off-road capability, or a mix of it all, so there’s pretty much a Cherokee to suit everyone. 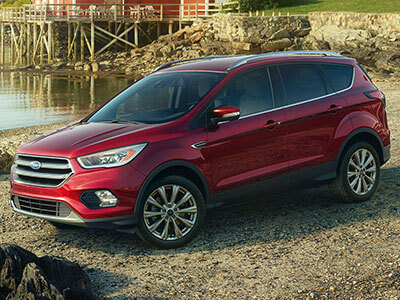 Just three different versions of the 2017 Ford Escape are available: the base S model, the SE, and the Titanium. Only having three trim levels does mean buyers will get generous amounts of standard features right off the bat, but a comparative lack of choice hands another victory to the Jeep. Two engines being available in the Cherokee lineup probably won’t raise too many eyebrows, but the fact one of them in this compact crossover is a V-6 might. The standard engine is a 2.4-liter inline four producing 184 horsepower, but the big fun comes from the 3.2-liter V-6 with its 271 horsepower. Throw in a nine-speed automatic transmission and some very genuine off-road capability thanks to Jeep’s well-proven all-wheel drive system, and the Cherokee really is an impressive performer. The Escape makes no pretense at being anything resembling a serious off-roader, even though all-wheel drive is available. The Ford is aimed squarely at the on-road environment, and few crossovers handle as much like a car as the Escape does. The Cherokee isn’t quite as good on the tarmac as the Escape, but the extra capability off-road gives it a slight advantage again. The Cherokee is a fairly new vehicle for Jeep, so it can be allowed a little time to improve on its ratings in the latest crash testing. The NHTSA only rates the Cherokee as a four star model for overall safety, while the IIHS gives the Jeep its top “Good” rating in all but one of its tests. Even so, those scores are below average for the segment and base models have no rearview camera. NHTSA testers give the 2017 Ford Escape the full five-star rating for overall safety, and although it doesn’t get Top Safety Pick status from the IIHS, it has improved this year. It’s certainly nowhere near the top of its class in this area, but that five-star rating gives the Ford Escape the win in this section. The Ford Escape sells in good numbers, and undoubtedly has plenty of appeal due to its sporty persona. 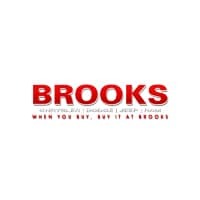 However, there’s not a great deal to separate it from similar sized sedans and wagons you can buy that might also cost a little less. The 2017 Jeep Cherokee is unmistakably a crossover SUV, but with a unique style, multiple trim levels from which to choose, and performance options that give you an off-road feel in a crossover package. The Escape is a good vehicle, but the Jeep Cherokee is a great compact crossover and that’s why it’s our winner here.